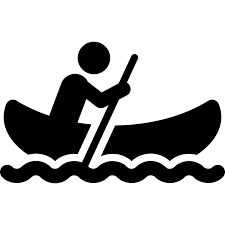 We are the premier paddle sports outfitter located downtown Bend, OR. We focus on getting customers on the right equipment for their adventure, and providing the best customer service in the industry. 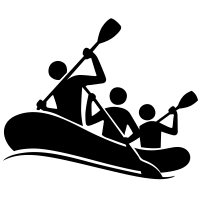 Our knowledgeable staff will also provide recommendations for the top places to paddle. 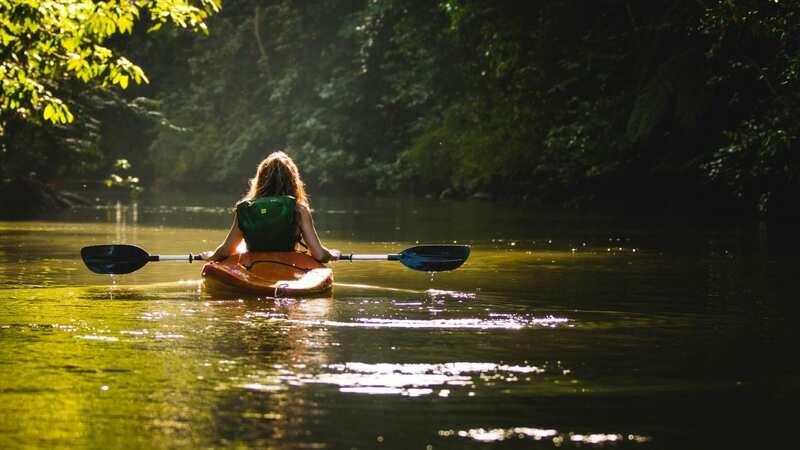 Book your Bend SUP rental today! 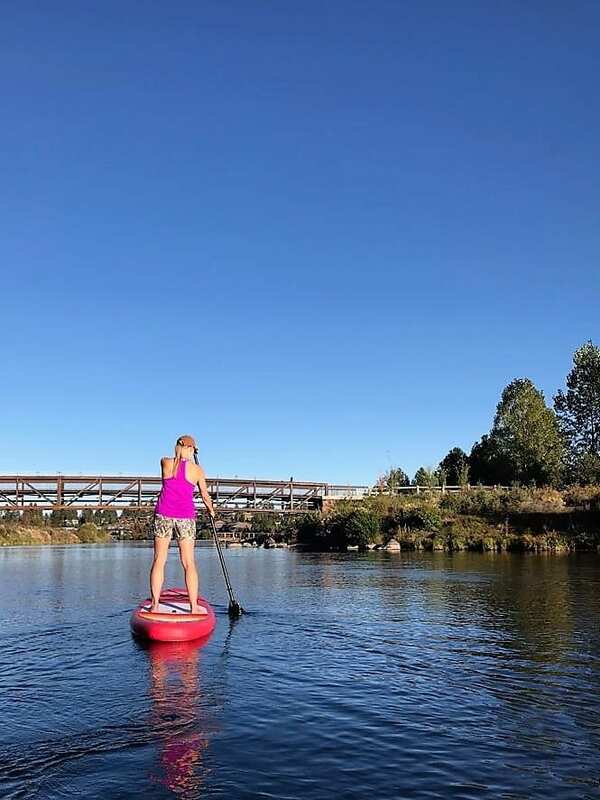 Recently, Bend, Oregon was voted the Best SUP Getaway by Outside Magazine. 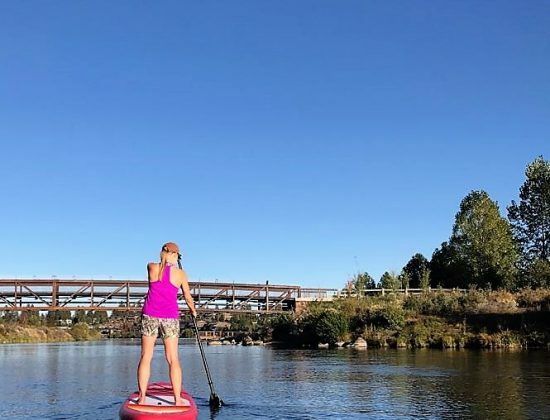 Bend is full of incredible paddle boarding destinations, like the iconic Deschutes river, and the pristine lakes tucked away in the volcanic Cascade mountains. 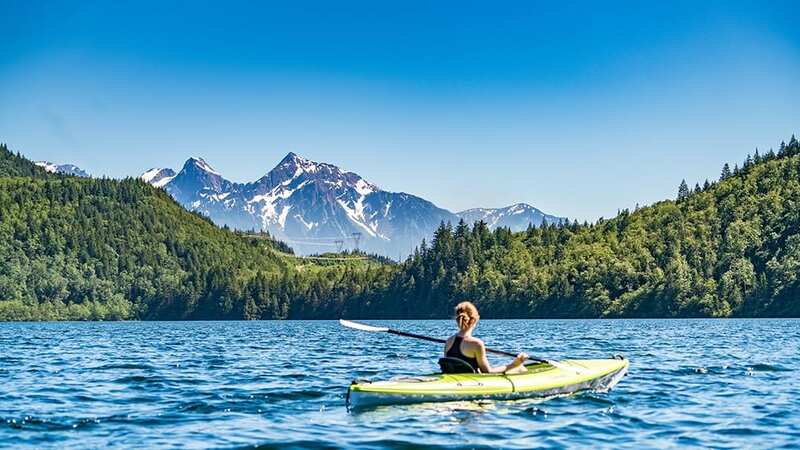 Paddle the Deschutes right through downtown Bend to catch some live music, or take a short drive up the Cascade Lakes Scenic Byway to Elk Lake with its inspiring views of Mt. Bachelor. Devil’s Lake is another popular paddling location, with crystal-clear turquoise water set against a backdrop of volcanic rock. Newberry National Volcanic Monument is also a short 30 minute drive and features waterfalls, lava caves and 2 large lakes perfect for paddling. We rent kayaks and paddle boards (SUP). You can pick up rentals on your way to the lake, keep them overnight and return in the morning. Kialoa paddle boards are stable, respond quickly, and track well – with flexible fins to avoid falls and damage to the board. We have high end inflatables and if you don’t have a car rack, we send you with an electric and hand pump for inflating at the lake! Jackson Rivieras are stable, comfortable and track well – holding up to 300 lbs. Bring the Cooler! Enjoy your kayak or SUP rental on the Deschutes in Bend or at one of our many lakes off of Century Drive.